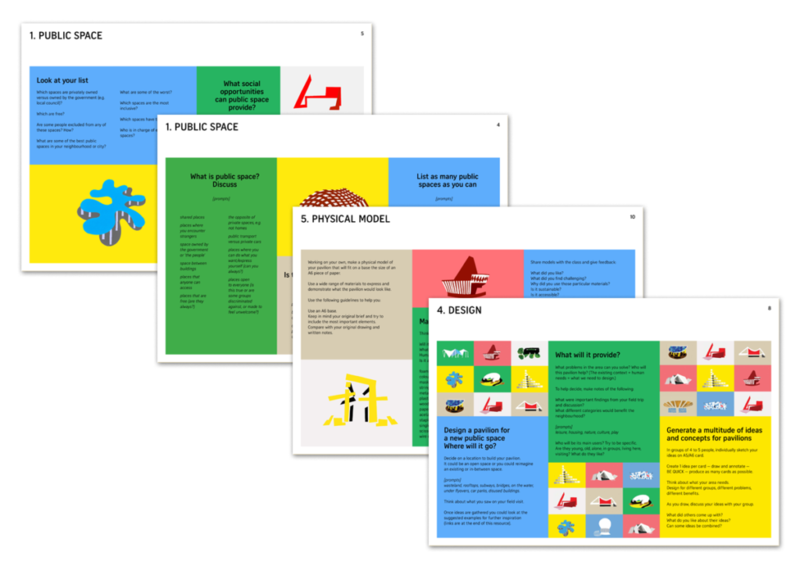 Teach your students about architecture and the built environment – download our print-friendly Teachers’ Resources and run Build Your Own Pavilion workshops in your classroom! 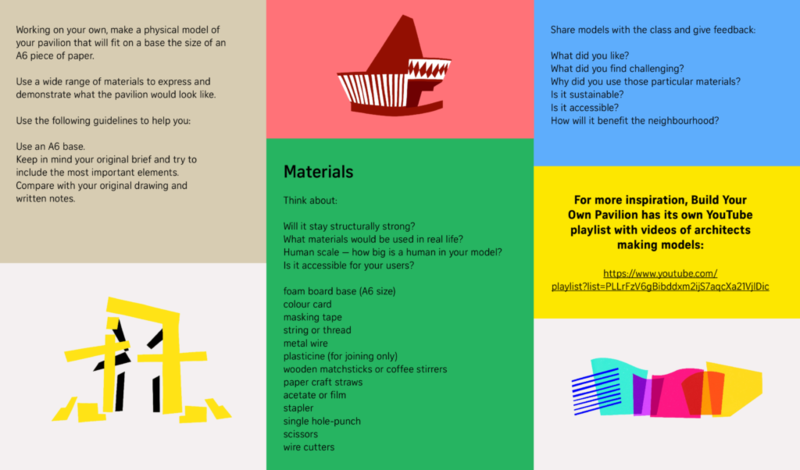 Our free teachers’ resources provide a framework that will take you from exploring ideas around public space through to creating small scale architectural models. There’s ideas for lesson plans for up to 7 weeks, but it can be easily adapted to complete the project in as few as 3 lessons or you can even extend it to a full term project. We’ve designed these lesson plans with children aged 8-16 in mind, but all sections can also be expanded or edited according to your group’s needs and abilities. 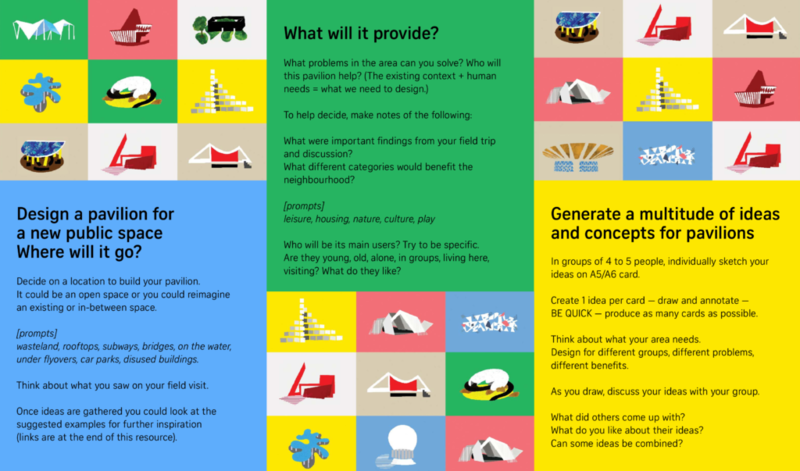 Take a look at the curriculum links page for ideas to link this project to the national curriculum in art, design and technology, geography and citizenship across KS2, KS3 and KS4.